“The Nutcracker and the Four Realms” is a beautiful empty mess of a movie. The production design by Guy Hendrix Dyas and costumes by Jenny Beavan are genuinely enchanting. Disney is a modern-day Medici, giving work to the world’s top artisans and the look of the film is gorgeously imagined. But boy, it’s like a fabulously wrapped gift that once you remove the ribbons and paper turns out to be nothing but an empty box. Ultimately, the visuals are so sumptuous and look-at-me that they overwhelm the story. 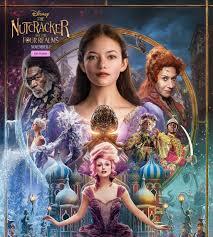 It is inspired, of course, by the classic ballet, which, let’s all admit, is not much of a story, based on a 200 year old tale by E. T. A. Hoffmann about a young girl named Clara who defeats an evil mouse king with the help of a nutcracker who comes to life. It’s just there to provide an excuse to play the one of the most beloved orchestral pieces of all time, the celestial Pyotr Ilyich Tchaikovsky Nutcracker Suite and to perform the now-classic dances. Half of the Nutcracker is just a performance put on for Clara by dolls and toys of different nationalities. Almost as well-loved as the ballet, a perennial holiday favorite, is the sequence in Disney’s “Fantasia” (which premiered in 1940, four years before the first US performance of the Nutcracker ballet). Fish swim sinuously to the Arabian Dance music, and fairies bring winter to the forest to Dance of the Sugarplum Fairy. But what everyone remembers best is the mushrooms dancing to the Chinese section, one tiny mushroom racing to keep up. In this version, Clara (Mackenzie Foy, struggling with her English accent and struggling even more with a story that veers from dull to wha??) is the middle child in family in mourning following the death of the mother. It is their first Christmas without her, and they are all feeling lost. Clara’s father (Matthew Macfadyen) tells the children that their mother left them each a gift to be opened on Christmas Eve, a favorite ball gown for her older sister, toy soldiers for her younger brother, and for Clara an intricate egg-shaped box without the key to unlock it. The note says that everything Clara needs is inside. Clara, like her mother, is a gifted mechanical engineer (she amuses her brother with a clever Rube Goldbergian contraption that deserves more of a payoff later, but the filmmakers do not appear to be paying much attention or expecting us to be, either). So, at the very fancy Christmas Eve party where her father’s primary concern is that Clara dance with him “because everyone expects it,” Clara does just what he told her not to do — she sneaks off to find the host, her godfather (Morgan Freeman, in an eyepatch), who is ignoring the guests and tinkering in his workroom. She thinks he might have a key. And of course in a way, he does. The next thing we know, Clara has been led to a mysterious Oz/Narnia-like enchanted land, where a mouse steals the key and she chases after him. With the help of a nutcracker come to life (Jayden Fowora-Knight) she learns some secrets about her mother and has to save the day from the evil character who wants to dominate the four realms. Believe me, you don’t need to understand this part. You probably don’t want to, either. There are some references to “Fantasia,” including an image of a conductor and orchestra directly taken from the film. But why put the red mushrooms in the forest if they aren’t going to dance? Why bring in James Newton Howard to create a new score when it is definitively impossible to improve on Tchaikovsky? And why why why relegate Misty Copeland (mostly) to a credit sequence after the movie is over? The ballet scenes are frustratingly short, while chase scenes and PG-level action take far too much time. Director Lasse Hallström, known for warm-hearted, deeply sympathetic films like “My Life as a Dog,” “What’s Eating Gilbert Grape,” and “Cider House Rules” had to leave the film for another project, and it was finished by Joe Johnston, known for skill with special effects stories like “Honey I Shrunk the Kids,” “The Rocketeer,” and “Jumanji.” This may explain a disjointed tone, particularly with one character whose transformation is fine as a matter of plot but jarringly wrong in tone that takes us completely out of the movie. It is lovely to have a fantasy film with a girl who has courage and agency, but the way it handles its themes of loss are disjointed as well, with a truly jarring disparity in the treatment of Clara and the rest of her family and slightly creepy suggestions about the way the girls make up to their father for the loss of their mother and about how evil and (mild) sexuality (double entendres) are linked. This movie would be a lot better if it had fewer realms and better writers. Parents should know that this is too intense for little ones, with scary soldiers, peril and some violence, swords, falls (no one hurt) and characters mourning a sad death of a parent. Family discussion: What did the note from Clara’s mother mean? What made Clara different from her brother and sister? What made her change her mind about Mother Ginger? How do Clara and Sugar Plum respond differently to the loss of someone they loved? 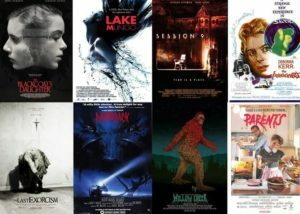 Rogerebert.com critics list their favorite underrated scary movies for Halloween. Check them out, especially my choice, Coherence. 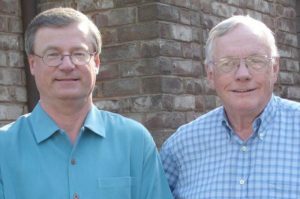 James R. Hansen wrote the book that inspired “First Man,” the new Ryan Gosling movie about Neil Amstrong, the first man to walk on the moon, and I had the great pleasure of talking to him about the time he spent with Armstrong and his family, what he learned from the biodata NASA kept on the astronauts during their journey, and what he thinks about the film’s depiction of Armstrong leaving something very meaningful on the moon before he returned safely to earth. Where were you when you watched the moon landing? I was on the floor in front of our television set, back in the day when television sets were these console units where the exterior was built into the TV. I was right in front of the TV set on the floor, in Fort Wayne, Indiana between my junior and senior year of high school. I was taking the college aptitude test that summer, working at a golf course mowing grass. I think I watched every minute. I think I was there probably from noon until midnight, so probably 12 straight hours of watching the coverage of Apollo. So you grew up with the space program. I was a second grader when Alan Shepherd flew the first space flight. We went down into the gym and took off our shoes and they had a big boxy TV right at the mid-court circle of the basketball court. That flight was just a sub-orbital flight that lasted maybe 15 minutes but I remember very clearly where I was on the floor. There was just something about the age and the era and the promotion of space exploration that grabbed a lot of people. I didn’t do a whole lot between the launches or between the missions but when it did happen I usually found my way to a TV set one way or the other. One thing that will surprise people when they see the movie is that the space capsule is so small and vulnerable. Is that the way that Neil described it to you? The vision of the director, Damien Chazelle, was to make the experience immersive for all of the movie viewers and to make it very visceral as well and so I think as a result there’s an emphasis on the sound. If you recall just the shutting of the hatches and everything, it’s almost like they’re being entombed in these things. At one point I went to the museum with Neil where the Gemini VIII spacecraft was still located. The Gemini in particular is just for two men. It’s just such a small space. The Apollo was rather roomy in comparison. I don’t think I did in my book as much as what Damien does in the film to communicate the almost claustrophobic aspects of being in these capsules and so I think the audience will experience this in a way that is in a lot of ways different than it’s been portrayed in earlier movies where you don’t experience the sounds and the vibrations. Damien went out of his way to try to put the viewer in to see it through Neil’s eyes, to feel it in a very direct kind of way, and I think that’s one of the really incredible things about the film. What made Neil the right guy for that job? In terms of his general training and experience for astronaut selection, here is a guy that had flown as a test pilot virtually every advanced experimental flying machine that the country was testing between 1956 and the time he became an astronaut in 1962. He was in fact in the second group of astronauts, which was an incredible group with James Lovell and John Young and Frank Borman and Ed White. Neil was the only one who had any experience for flying a rocket-powered airplane, the X-15, which is shown in the very first scene of the film. In terms of him becoming the commander of Apollo 11, one thing I try to do in a lot of my lectures is make clear that there was nothing preordained about him being the one selected. The approach to putting teams together the key was choosing good commanders and he had a feeling deep down that any of the commanders could have done any of the missions. So Neil always made sure people understood that his opportunity to command Apollo 11 was really a matter of contingent circumstances. He was in the right place in terms of the order of the rotation. Still, he was really an outstanding person to end up doing it — I don’t think there’s any question about that. He had had the major problem with the Gemini VIII flight. There was some second-guessing about it, but in the end everybody felt like he and Dave Scott had handled that emergency extremely well under unbelievable pressure. So I think all of that’s relevant. On one hand it is important to make clear that he was really well trained and a good person to do this particular mission, on the other hand there were other good men as well that probably could have done it as well as he and I think the other commanders could have done the missions. What is it that makes someone able to stay calm under that kind of pressure? One thing that the movie can’t show that the book can and does is that in the movie we only see Neil in three flights, in three flying machines; he’s in the X-15, he’s in the Gemini VIII and he’s in Apollo. The guy made hundreds of flights in hundreds of different machines and he’d been flying since he was 16 years old, so he had experienced so many different flying machines and experiences in airplanes and there have been tough challenging moments in a lot of those flights. He flew 78 combat missions over North Korea and had half of his wing clipped off in one of them and he had to eject from the plane. If you fly that many times, you are going to run into problems and things that are not working quite right. So the one thing that you can’t communicate in the film is that this guy has been in these things hundreds and hundreds of times. They’re engineers and test pilots in the plane so they really know the systems as well so that is an element that sort of explains their confidence in what they’re doing. He was calm, but we know from the telemetry data that Neil’s heart rate was one of the highest if not the highest heart rates in almost all those flights and I talked to Neil about it. Neil’s own take on it was that if you really see when his heart rate peaked, it was always when he was in anticipation of some high-performance moment that he was going to have to execute. So really his take was that it wasn’t a representation of stress or anxiety about the flaw but just the body and the mind together getting ready for something that was going to have to be done out of the ordinary. He does have other instances of high heart rates too when he was over at Little West Crater during his lunar EVA. He had to get over to Little West Crater and get back to the lunar module pretty quickly because that wasn’t really a scheduled thing for him to do and there wasn’t much time and mission control was kind of nagging him to get back to the lunar module. When he was over at the crater his heart rate was over 180. Again it’s a question of how you interpret that, but I’ve always been a little bit reluctant to describe him as this cold, calm, collected person what nothing unnerves when a man is running such a high heart rate at the same time. The movie focuses quite a bit on the way that Neil dealt with the death of his daughter. What did he tell you about it? Typically of Neil, it was hard to get him to talk about it. I probably got him to talk about it more than anybody else ever had. As the movie makes it clear, he didn’t even talk to Janet about it and Janet told me the same thing. He just would not talk about it and Janet needed him to talk about it. She needed a husband that was comforting and supporting and she needed to be able to express her own grief. That’s one of the really sad things in their relationship and I think the movie captures that in some beautiful ways, especially that last scene. I got most of my information about the effect of the death on Neil from Neil’s sister June and from Janet because they observed it first-hand. June, who really loves her brother, was very understanding and she told me stories about in the aftermath of the death, stories that reinforced for her what a special love Neil had for that little girl and how it affected him not only in the immediate aftermath of the death but in her eyes how he never got over it. 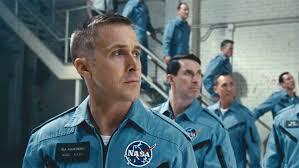 The line when he responds to a question in his interview for the astronaut program in the movie comes from my book. I asked, “Did this affect your flying in any way?” and he said, “I think it would be unreasonable to assume that it would have no effect.” That’s just classic Armstrong speak. It’s an answer but it’s not terribly direct. He didn’t really bring her baby bracelet to the moon and leave it there, did he? There’s certainly no evidence that he did. The thing is there’s also no complete evidence that he didn’t. We don’t know what he took to the lunar surface because the manifest of the contents of his PPK (the personal property kit) where they took personal items has never been seen. Neil apparently had it. I asked him if I could look at it and he was going to try to find it and never found it and the boys don’t have it and Purdue University archives doesn’t have it so we don’t know where it is and even if we do find the manifest was what he took/the personal items that he took if something was really, really private he wouldn’t have necessarily even listed it. Another part of this is that the visit over to the Little West Crater was not scheduled. It was not part of the mission plan. He just decided to go over and do that himself and what he did over there we really don’t know for sure because the TV Camera wasn’t on him at that point in time so it was a completely private moment. Sometimes the power of poetry prevails over the uncertainty of fact. I’m okay with it because there’s just enough degree of uncertainty about this that it’s not necessarily counterfactual, we just don’t know for sure. Submarines provide instant drama because they are as closed off from the rest of the world as it is possible to be in the era of instant global communications. The officers have to make life and death decisions not only for themselves but sometimes for the whole world with limited information and ability to get orders from their commanders. They are stuck with each other in a setting that combines the maximum of isolation with the highest of stakes. That is why there are so many memorable submarine movies, from “The Hunt for Red October” to “Crimson Tide” to “U-571,” “Das Boot,” and even “20,000 Leagues Under the Sea.” There are also often fascinating details about the technology involved. 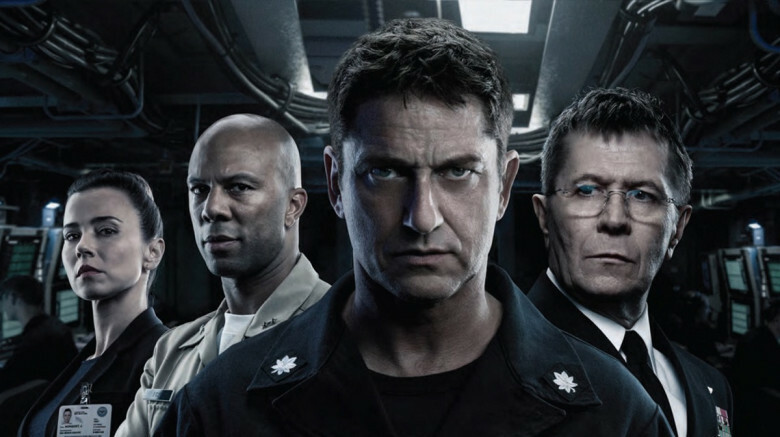 And that is why Gerard Butler‘s latest movie about saving yet another world leader from personal and geopolitical catastrophe, “Hunter Killer,” holds our interest, despite the preposterousness of the plot. The president of Russia has been kidnapped in a coup, and according to this film the only chance of rescue is up to the US Navy Seals and the captain of a US Navy submarine. If you can get on board with that idea, the mechanics and action should keep you on board through the end. Butler plays Captain Joe Glass and we know he is a good guy because we first see him about to shoot a deer with a very manly bow and arrow but then decide not to when he sees the deer’s sweet mate and their baby. We see he is scrappy and tough but fair as he introduces himself to his new crew. He explains that he is not one of those fancy-pants Annapolis grads who learned what they do in a classroom. He’s an up-from-the bottom scrapper who will demand the best because he has had their jobs and knows what is possible. It is really three movies in one as four Navy Seals enter Russia, first to get intel, and then, after their cameras reveal the coup, to rescue the kidnapped Russian president, the top brass in the Pentagon, including a skeptic (Gary Oldman), an intelligence officer (Linda Cardellini), and the decent guy trying to hold it together (Common), and then the attack sub led by Captain Glass. The other name for an attack submarine is hunter-killer. The action scenes are powerfully staged, with outstanding sound and visual effects. And the film skillfully balances the big booms with the small moments between the (mostly) men. The film’s most compelling scene is when Glass has to find a way to gain the trust of a Russian captain (the late Michael Nyqvist, showing canny grizzled wisdom) very quickly and the two men recognize that they have more in common with each other than they ever will with the guys back home giving them orders based on politics and computer screens. Toby Stephens is also excellent as the leader of the Navy Seals. There’s a lot of tech talk and tough talk and thousand yard stares. But there’s also some impressive action and a storyline that, let’s face it, is no more outlandish than current headlines and much more satisfying. Parents should know that this film includes extended military peril and violence, guns, bombs, explosions, kidnapping, political coup, characters injured and killed, a brief crude reference, and strong language. Family discussion: What difference did it make that Captain Glass had served as a crewman? What made the Russian and American captains trust each other? 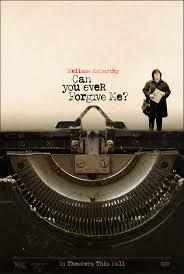 It is important to note that it is not Lee Israel (Melissa McCarthy) who is asking for forgiveness in “Can You Ever Forgive Me?” It is the acerbically witty Dorothy Parker, author of a jaunty poem about the downsides of the various options for committing suicide that ends “You might as well live.” Okay, it is not exactly Dorothy Parker. It is Israel pretending to be Dorothy Parker. Lee Israel, best-selling author of popular and respected biographies of mid-century celebrities Dorothy Kilgallen and Tallulah Bankhead found herself desperate for money — and for some sense of a place in the world — when her next biography flopped and no one would work with her. The book’s failure with the critics and the public was only part of the reason. Lee Israel had become a bitter and unpleasant person and, both cause and effect, she had also become an alcoholic. 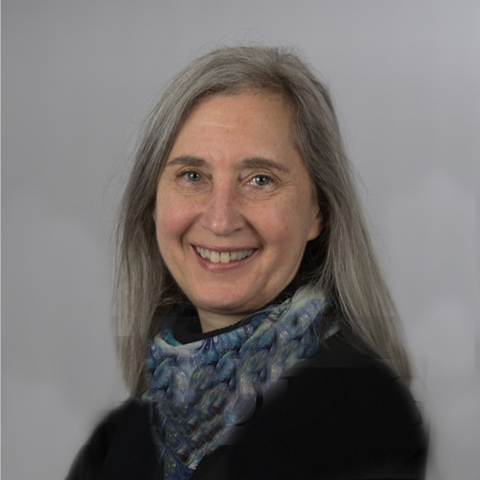 And so, instead of immersing herself in the lives of those more talented and successful to write about them, she immersed herself in the lives of famous authors to write for them. After a chance opportunity to steal and sell a genuine piece of correspondence, she began to forge others. Collectors love to own signed letters from their favorite writers, and Lee Israel loved writing them and getting away with it. She even went out and bought vintage typewriters and mastered the art of duplicating their signatures. At last, she is a successful writer again! The movie is uneven, sometimes sordid, as Lee and her only friend, Jack Hock (Richard E. Grant) go from genteel poverty to near-squalor. Uncomfortably, the movie seems to suggest near the end that all of this had some merit as a way for Israel to find her own voice. After she was caught and after her guilty plea, she wrote another book, the basis for this film, finally in her own voice, telling her own story. The performances are what make the movie worth seeing. Every one of them is a gem. McCarthy and Grant show us the flickers of raw honesty from near-feral people who mostly cannot bring themselves to acknowledge how far they are from where they think they deserve to be. Dolly Wells, as the trusting soul who purchases some forged letters, Jane Curtain as Israel’s businesslike but not unkind agent, and Anna Devere Smith in a knockout of a scene as Israel’s ex are all thoughtful, nuanced, committed, and compelling. In Israel’s forged Dorothy Parker letter, “Can you ever forgive me?” is coy, self-consciously self-mocking, but mocking the recipient, too. That is the voice of Israel, too, and even an actor as irresistible as McCarthy cannot make us feel sympathetic for her. Parents should know that this film includes pervasive very strong language, sexual references and non-explicit situations, drinking and alcoholism, drugs, and criminal activity including fraud and theft. Family discussion: Why was Lee proud of the letters she forged? Why was it hard for her to get along with people? What do we learn from Elaine?